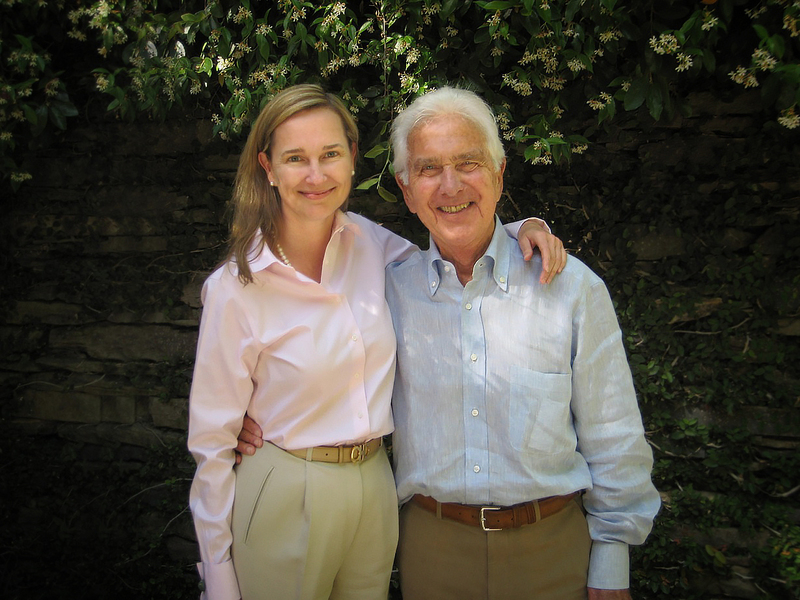 Warren Bennis touched so many of us so deeply… from students and consultants, to CEOs and U.S. Presidents. Bennis never stopped advocating for leaders becoming all they can be, for greater integrity and for focusing on more than the bottom line. His depth of mind and presence of character set an example for us all. A young platoon leader in World War II, a provost and a president at universities, and scholar, Warren was best known for his vision of what might be possible by developing human potential through an integrated approach to leader development and with this he broke new ground. These are many of the identifying characteristics of our most successful, innovative leaders and the most impactful leadership development programs available today. It is no surprise that he advised several of our nation’s Presidents and consulted with business leaders around the globe. He was an inspiring writer and educator; a staunch advocate for ethical leadership, and perhaps most of all, a generous mentor. My last breakfast with Warren was less than two months before he passed away. Just as we had so many times before we talked for a long time in his home while listening to his wife, practicing with her quartet. Although he was delicate and moved slowly our conversation was no less profound or inspiring than before, from a close friendship which spanned almost twenty years. We talked about the first time when we had lunch in the nineties after being introduced by mutual colleagues; a lunch conversation which lasted until dinner time. Over our almost twenty years of conversations, correspondence, intellectual collaborations and friendship it never changed. We have joked about how our friendship’s theme may have been established during a lunch on the beach in Santa Monica when we first met. A ninety minute lunch lasted for seven hours. It only ended when I had to hurry to attend an evening wedding of a friend in Los Angeles. A small prop plane flew back and forth up the beach it seemed dozens of times pulling a fabric banner behind it for beach goers to see; “Expose Yourself” it read and it became our longest running joke. Warren shared his ideas about authenticity in character and leadership while I learned from a new mentor and friend. When he sent me a hand written personal note the following week it read, “looking forward to more incomplete conversations.” That was our friendship; exposed, honest, clear, respectful and trusting. It never changed. I only learned over the years that this very special friendship and intellectual ongoing dialogue was shared by so many others. What I learned: As a leader-teacher, Warren’s never left a conversation without making the other person feel as if they were the ones who were brilliant. Magic. 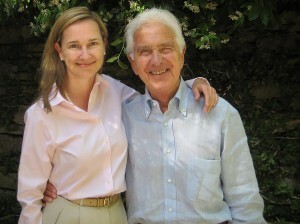 Personally, Warren became my mentor, intellectual colleague, greatest supporter and friend for almost two decades. Although I was in my twenties when we met he went out of his way year after year, connecting me with countless great minds in our field, inviting me to everything. He always introduced me with gracious respect, humor and honor. Remarkable. Perhaps nothing had greater impact on my early choices while growing our business brand than Warren’s unyielding support, respect, trust and guidance. He generously shared his passionate ideas about learning a whole new approach to leadership based on being authentic while he carefully asked questions and helped me explore where my own ideas were rooted. He was an editor on all our best-selling films and support materials and books, whose aim has been to influence the new generation of leaders to lead organizations with a clear sense of purpose, to serve others and to make this world a better place. Warren gave me the courage to become a writer and to find new ways to share my ideas. His generosity never stopped surprising me. Once when Warren invited me to be a guest speaker in his class at Harvard Business School, I most moved that day most by Warren himself. Even though I was presenting and the class was very responsive to my talk, it was Warren who blended the event into something magical for everyone present. He knew so many details and variations of my current work at the time; even reviewing and sharing stories about various draft with his students in such detail that I found myself laughing out loud in wonder; my surprise made him laugh as well. We shared an understanding of what made us each laugh that his students connected to which stayed with all of us. Again.. magic. It is not a surprise that with that kind of experience in a simple classroom one would find how far and deep the ripples still flowed. 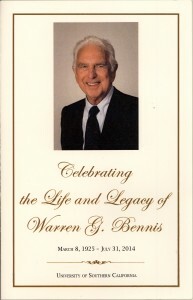 In September 2014, a few hundred of Warren’s friends, peers, students, and colleagues joined his family for “A Warren Bennis Celebration of Life,” and University of Southern California. We were all it seems, a bit overwhelmed with the authenticity of the ripples which were not our own. For three hours we heard from family members and colleagues who shared stories and tributes from the stage in the beautiful USC auditorium. The chosen presenters were incredible; some moved to tears themselves and brought us to tears while others told amazing stories which made us laugh out loud. It was not only deeply moving but a reminder that as unique and brilliant as Warren made you feel, he shared this same gift with many. As students of leadership what could be a greater lesson? There was so much productively in that room inspired from a leader who’s power came from helping others to feel powerful. He was an incredible leader and teacher; inspiring and connecting deeply and authentically with students and CEOs alike. I still receive emails from a couple of the students in that class twelve years later. This is not just a great leader-teacher, this is someone who possessed a certain magic which touched countless people lucky to know him. It is something to reflect on and to learn from. How many of us can boast such profound impact on those we connect with which lingers as an inspiring story retold long after the experience? Over the years I have met dozens (if not hundred)s of people equally touched by his mentorship and friendship. Although he was small in stature, something he confessed was what he would most have liked to change about himself, he made up for in his presence and graciousness; he was like the giant oak tree with roots spreading widely and deeply unseen yet felt by everyone who knew him and were lucky to be his friend. 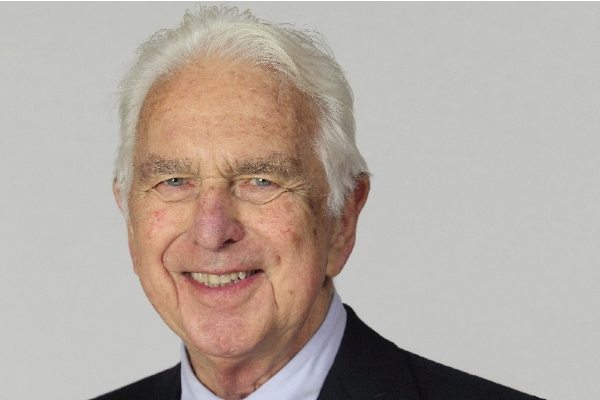 Warren Bennis has left us with his example on leadership and a lifetime’s body of work, stories and wisdom. It is our responsibility to carry it forward. Two famous quotes from Warren are: “leaders bring clarity and hope” and “leaders remind people what is important.” Through his books, teaching, persistence, curiosity and presence, Warren continues to bring us clarity and hope. He continues to remind us what is important. Although he has passed, his legacy and his influence will remind us who to be, how to be, and why to be a leader of life. Within a box full of handwritten letters and notes I saved from Warren there remains one which is especially dear; “expose yourself!” Warren often reminded me of our first lunch which lasted seven hours and that first, authentic, “incomplete conversation.” He reminded me often even more to: “be brave” and to never fear looking foolish while pushing to discover something new. Your story will be retold while your influence will continue to be discovered by generations of new leaders seeking integrity of self, serving others and purpose. Here, we will do our part to share with others the legacy and to keep the roots of the oak tree spreading unseen but ever-powerful. thank you dear friend, for Truth, and Respect; and for poetry of meaning. Previous PostUsing video to sell the big idea.Next PostReset and Re-imagine: when is it time to reboot as a leader?